Mary Ann East has spent most of her life in the Washington DC Metro area. She has proven herself a talented performer, conductor, and teacher. 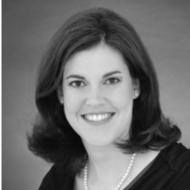 Upon graduation from Indiana University School of Music with a Bachelor of Music Education degree, Mary Ann returned to teach for Fairfax County Public Schools as a general music teacher and choral director. Her choirs consistently earned Superior and Excellent ratings in festivals and competitions. While teaching, she completed two Masters of Music degrees, (Choral Conducting & Vocal Performance) at George Mason University. After completing her MM degrees in 2005 Mary Ann joined the faculty of GMU conducting the Women's Chorale and teaching a music education course. Mary Ann also has experience as a church musician, as soloist and cantor in several DC area churches and as Director of Music Ministry at the Unitarian Universalist Church in Reston (VA) from 2006-2012. Ms. East revived the choir at UUCR, began a handbell choir in 2008, and facilitated the church band. She is a UUA Credentialed Music Leader, graduating with the second class. Ms. East founded Capital Harmonia in January 2013. This new community women's chorus will be performing around the DC Metro region througout the year. To learn more visit Capital Harmonia's website. Ms. East is currently completing her Doctor of Musical Arts degree in Music Education from Boston University.